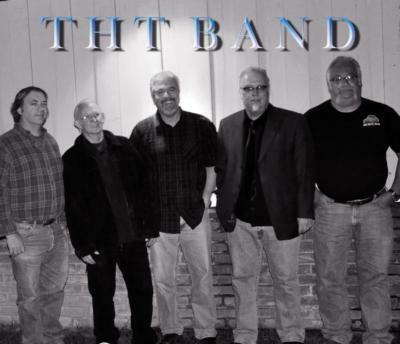 We really appreciate your time in considering THT Band for your upcoming event. We're glad you stopped by! We are a Southern California "cover" band that likes to perform our own brand of popular songs that we think you'll be very familiar with. We touch on all decades from the 60's to the present. Genres include Classic Rock, Modern Rock, and some Country as well. We also play some Surf instrumentals and a little R&B. THT has been together for over 10 years now. We love to perform! We also fit quite nicely on just about any stage, at any event, large or small. We've performed at many different venues such as charities, benefit shows, city events, car shows, private parties, and small clubs. We like to mix it up with a good blend of different moments throughout the history of Rock and Roll. If you're having a party, we want to be there to help you set the mood for your event. THT keeps the rhythm going: fast, slow, and everywhere in between! 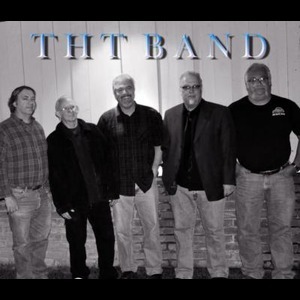 THT came together in early 2003, a group of guys who loved playing music, but had not been with bands for many years. Bob Stroud (Guitar, Lead and Backing Vocals) and Mike Rogers (Guitar, Lead and Backing Vocals) got together in 2003 and formed the direction of the band. Bob Fryan (Drums) joined up in February 2005, Rich Amadori (Bass, Lead and Backing Vocals) in April 2007, and Mike Taylor (Keyboards, Lead and Backing Vocals) in September 2012. The band has evolved over the years and has a rich history and great reputation for putting on a great show with some really great music! Please note THT Band will also travel to Glendora, West Covina, Azusa, San Dimas, La Verne, Pomona, Walnut, Baldwin Park, Diamond Bar, Duarte, La Puente, City Of Industry, Claremont, Rowland Heights, El Monte, Hacienda Heights, Monrovia, Arcadia, Chino Hills, Montclair.